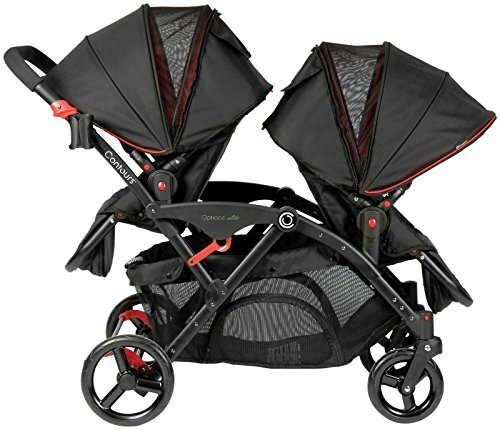 Choosing a stroller for twins is one of those insanely difficult decisions to make. While it might seem like a no-brainer (a stroller is a stroller, right? ), when you’re looking at a stroller for more than one child it’s not so simple. There are lots of options: side by side, front and back or tandem, those that will accommodate two car seats, those that are easily foldable, and even strollers that separate. The stroller that you choose will be determined by your budget, by your lifestyle, by the ages of your children and by your personal taste. Now let’s dig in and review your options. 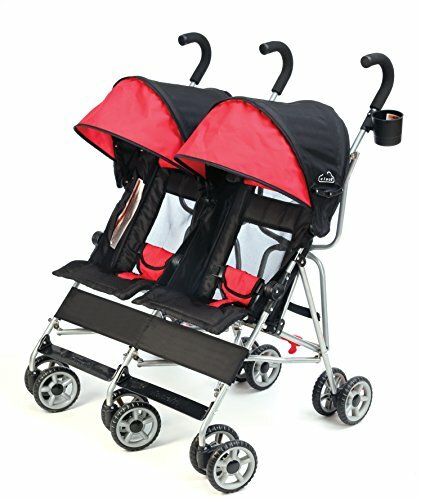 Below you’ll find complete descriptions of the kinds of strollers that are out there, including pricing of major brands. 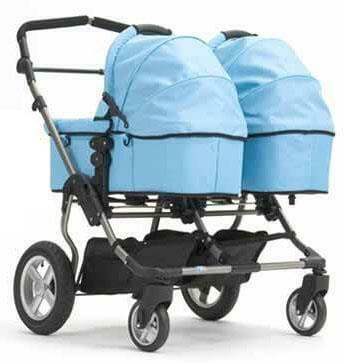 A tandem stroller is one that has the children in line with each other – one in front and one behind. There are several varieties out there, including umbrella style strollers and jogging strollers, and everything in-between. Stadium-style means that the back seat is slightly higher than the front, for an improved view. 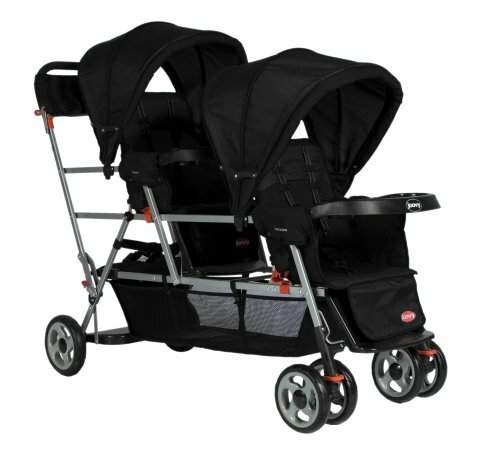 Here’s a chart of the cost of three top tandem strollers, all with pricing taken from Amazon. 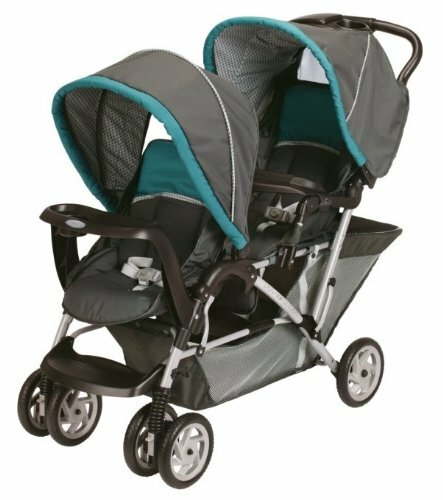 A side-by-side stroller has both seats right next to each other. 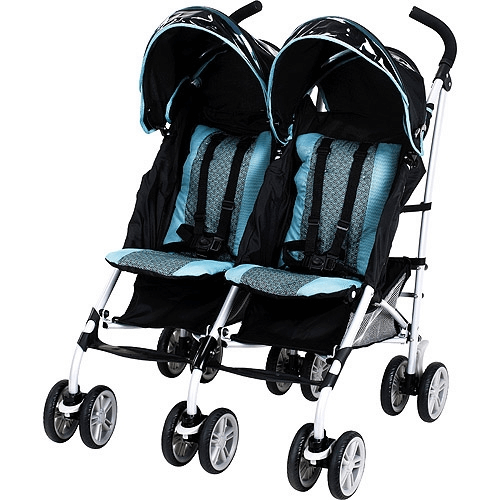 These strollers come in all kinds of styles and colors, and just like tandem strollers, you can get whatever level of design that you like – those that are great for hiking and those that are wonderful for getting around in the city. 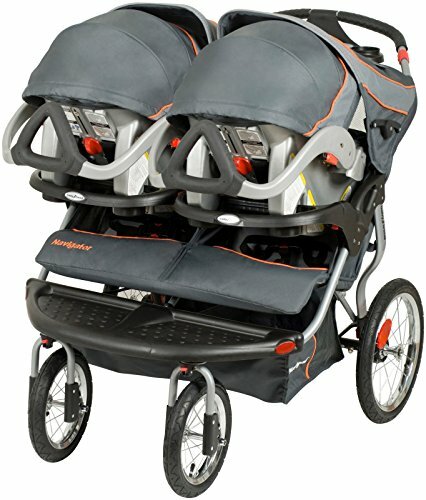 Here’s a chart of the cost of four top side-by-side strollers, all with pricing taken from Amazon. The last option that we’ll discuss is the twin pram. A pram is for infants who can’t yet sit up and is really only a viable option for those first few months. 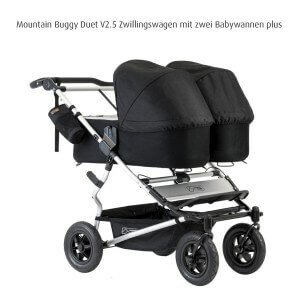 These strollers are quite expensive but are very popular in the UK and Europe. They harken back to the Victorian area, and there’s no way around the fact that they’re high on style. What many choose to do is to add a kit that converts a side-by-side stroller into a twin pram, which makes a lot of sense when it comes to the money. 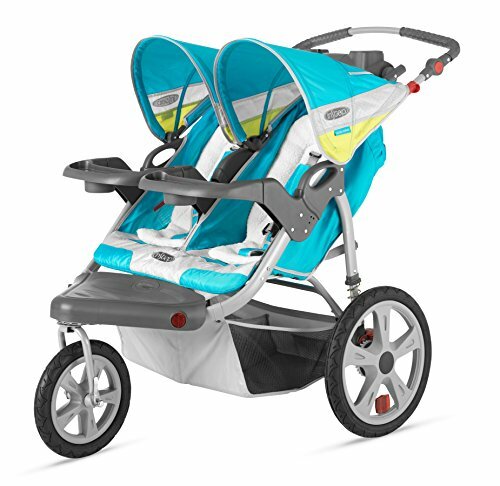 Here are details about one of the top pram converters, including pricing from Amazon. You may also like our baby bassinets review. You’re going to have to go with what feels good for you and your family. Another great option is to look for these used from other moms – you might well save yourself a LOT of money. Many families use their strollers constantly. Having one that you really like will encourage you to get out and about with your children, which is always a great thing.